During a four day race meeting, a large number of vehicles from services such as vets, ambulances, farriers and stalls teams are required to cross over the track at the 7 furlong crossing for each sprint race. If the race meeting is wet this can have a serious impact on the quality of the equestrian surface crossings. The Head Groundsman wanted a system to place lightweight protection mats over the crossing, in between each race, with the ability to speedily remove them in time for the next race. Ground-Guards’ BudgetMats were the ideal solution to this problem. 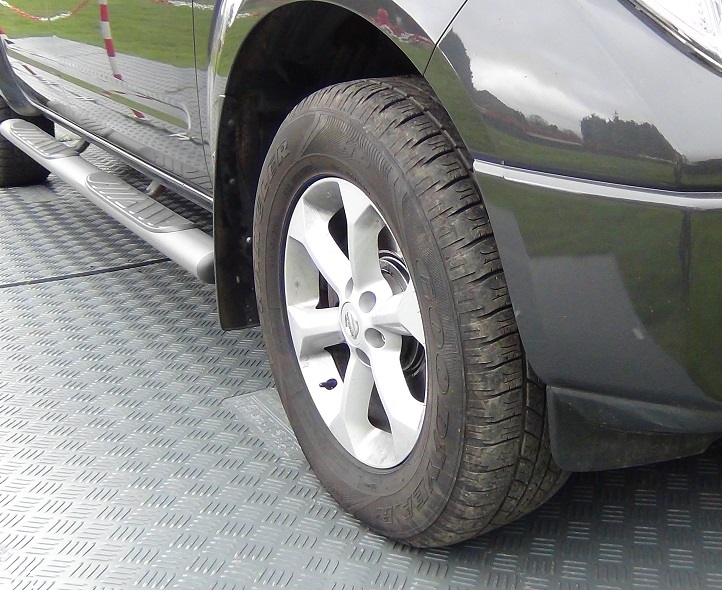 These plastic panels are solid to take the weight of vehicles, yet flexible to follow ground contours and protect the surface. 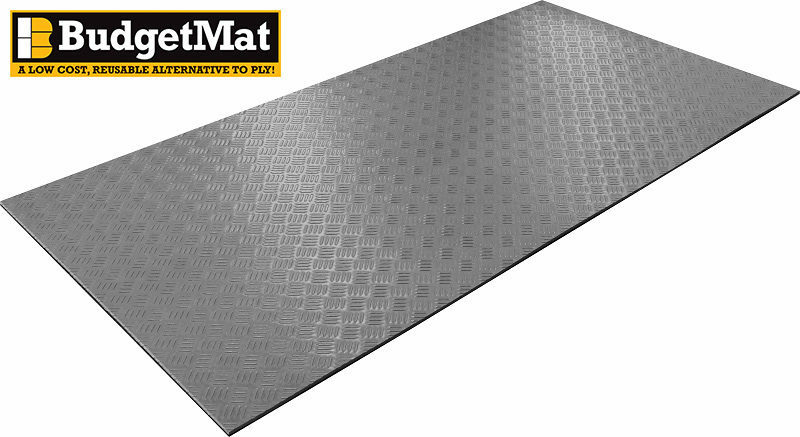 Each mat only weighs 32kg, making them lightweight to manoeuvre by hand. So the mats can be laid quickly to create a temporary roadway, which can also be packed up and reused again afterwards. A simple, cost-effective solution! 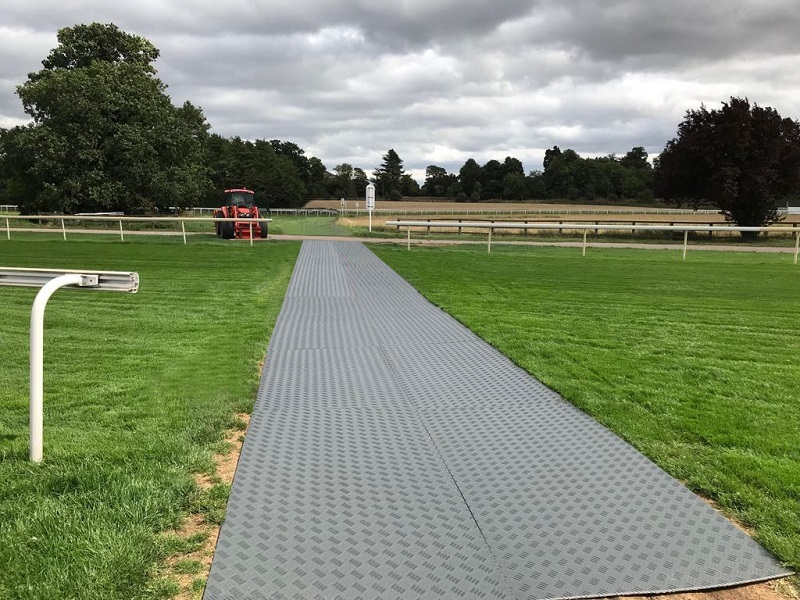 York Race Course bought 40 BudgetMats to services all their course access points, and were delighted with the speed and ease in which temporary roadways could be created in just a few quick minutes.